Following Indiana’s lead, state legislatures in Oklahoma, South Carolina and Missouri have approved measures to exit and replace the national standards and tests known as Common Core. A proposal in Oklahoma would repeal Common Core and replace it with new standards developed by the state board of education. In the interim, Oklahoma’s prior state standards, the Priority Academic Student Skills standards, would be reinstated. 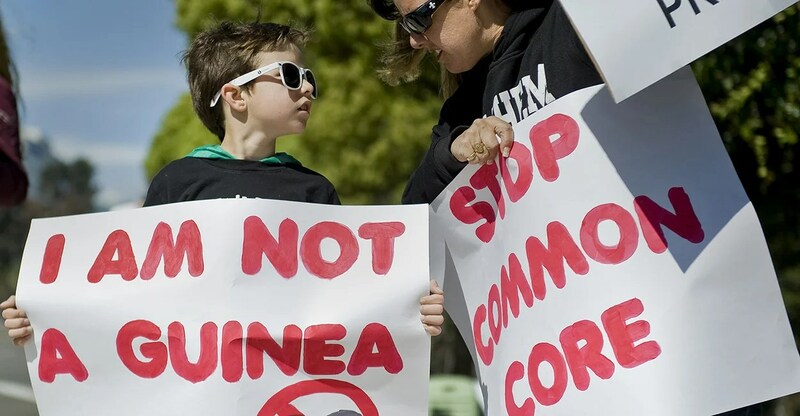 “If signed, HB3399 would be the most thorough removal of Common Core from any state of adoption in the nation to date,” said Jenni White, president of Restore Oklahoma Public Education. The South Carolina legislature just agreed to a proposal that would create a committee to review and revise the Common Core standards in the state by the 2015-16 school year. The bill also requires the state to exit Common Core-aligned Smarter Balanced testing consortia completely and replace the tests with their own assessments by the 2014-15 school year. In Missouri, the legislature has passed a proposal which also repeals and replaces Common Core. The bill requires the state board to develop new academic standards by October 2015, in place of the Common Core, and adopt and implement these standards by the 2016-17 school year. “This puts the process back into the hands of the people,” said State Senator Ed Emery, R-Lamar. Missouri’s bill also requires the Common Core-aligned Smarter Balance testing consortium to be used during the 2014-15 school year, likely resulting in Common Core being taught in Missouri for at least the next school year. Indiana has fully exited the national standards, and Oklahoma, South Carolina, and Missouri have an opportunity to reclaim their state education decision-making authority. 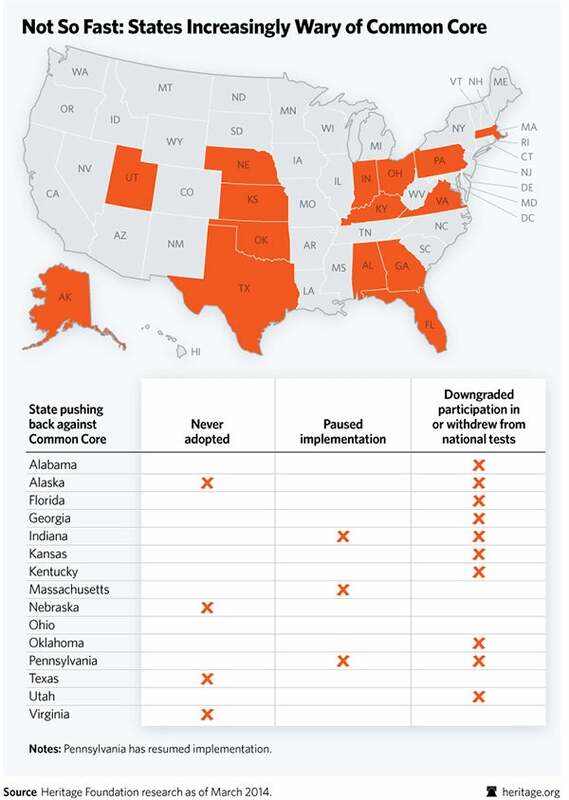 Sixteen other states have pushed back against the Common Core national standards by downgrading or halting implementation of the standards and/or national tests, including Arizona last week. Exiting Common Core would give all these states the opportunity to implement strong state standards that are innovative and reflect the input of academic content experts, teachers, and parents across the state.